Ohio is a strict liability state when it comes to dog bites. This means if you or a loved one is bitten by a dog anywhere in the state of Ohio, the dog’s Owner, Harborer, or Keeper will be held liable for any injuries and damages caused by the dog without you having to prove that he or she was negligent. A dog bite victim must only prove that he or she was bitten by a dog and that dog’s bite caused an injury or other type of damage. While the definition of an Owner of a dog is fairly straightforward, the definition of a Harborer or Keeper of a dog can be more difficult to determine. A “Harborer” is a person who controls the place where a dog lives. For example, if a dog and its owner lived with the owner’s parents, then the parents would be considered harborers of the dog. This definition would seem to include landlords. However, most Ohio courts have found that landlords are not responsible for the actions of a tenant’s dog. One exception to this rule would be if the rental property had a common area and the dog bite occurred in the common area. In this circumstance, the landlord may be considered a harborer and thus liable for the dog bite. There are a few exceptions to Ohio’s strict liability. If the victim of a dog bite was criminally trespassing or attempting to trespass, or was teasing, tormenting, or abusing the dog, the dog’s Owner, Harborer, or Keeper will not be held liable for the dog bite. A dog bite victim in Ohio has six (6) years from the date of the bite in which to file a lawsuit against the dog’s Owner, Harborer, or Keeper. The time frame is longer for children. 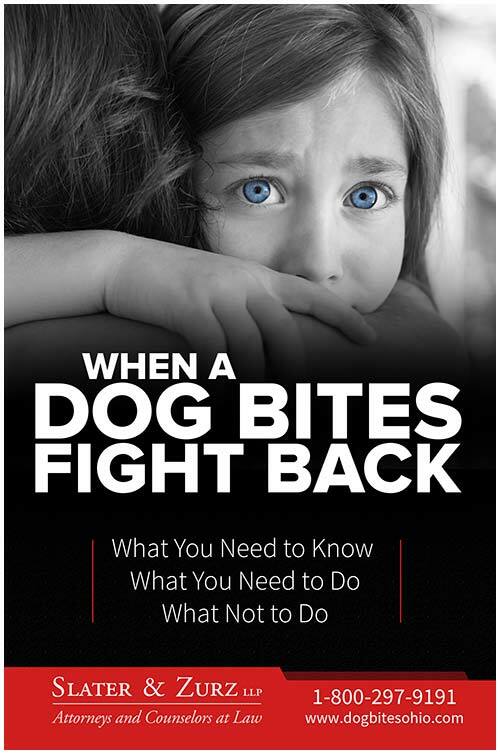 A child who is bitten by a dog has six (6) years beyond his or her eighteenth birthday in which to file a lawsuit. “The owner, keeper, or harborer of a dog is liable in damages for any injury, death, or loss to person or property that is caused by the dog, unless the injury, death, or loss was caused to the person or property of an individual who, at the time, was committing or attempting to commit criminal trespass or another criminal offense other than a minor misdemeanor on the property of the owner, keeper, or harborer, or was committing or attempting to commit a criminal offense other than a minor misdemeanor against any person, or was teasing, tormenting, or abusing the dog on the owner’s, keeper’s, or harborer’s property. Additionally, the owner, keeper, or harborer of a dog is liable in damages for any injury, death, or loss to person or property that is caused by the dog if the injury, death, or loss was caused to the person or property of an individual who, at the time of the injury, death, or loss, was on the property of the owner, keeper, or harborer solely for the purpose of engaging in door-to-door sales or other solicitations regardless of whether the individual was in compliance with any requirement to obtain a permit or license to engage in door-to-door sales or other solicitations established by the political subdivision in which the property of the owner, keeper, or harborer is located, provided that the person was not committing a criminal offense other than a minor misdemeanor or was not teasing, tormenting, or abusing the dog.” See the statute online. “No person who has killed a dog that has bitten any person in order to prevent further injury or death or if the dog is diseased or seriously injured shall fail to notify the board of health for the district in which the bite occurred of the facts relative to the bite and the killing immediately after killing the dog and shall hold the body of the dog until that board of health claims it to perform tests for rabies.” See the statute online.